in over St st after blocking using size 6 (4mm) needles. 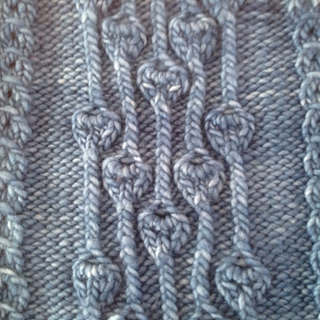 Knit stitches and eyelets form delicate mock cables and bell patterns on a reverse-stockinette background. Row 7 P2, k1tbl, p2, M4, p2, k1tbl twice, p2.